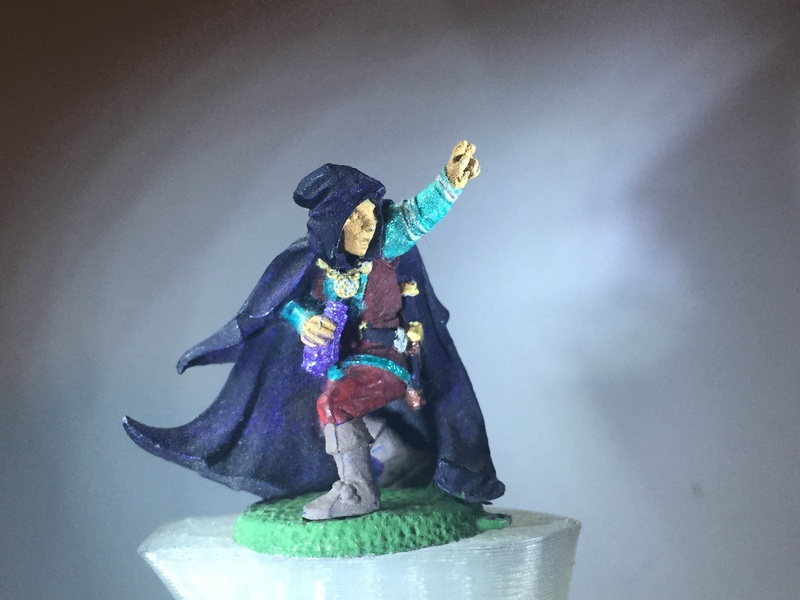 Today’s Figure is a Human mage/sorcerer (could also be a thief or ranger). I decided to paint him like a flamboyant thief under his cloak. He is holding a bottle or tube, perhaps its a potion. He is wearing a medallion, cloak and dagger or wand at his belt. It appears that he drank a potion and is casting a spell. I couldn’t find out who the manufacturer is, but I’ll keep researching.